“Khalil has the confidence and knowledge of the business, and can be relied on for prompt and proper advice and guidance. The entire home sale went so smoothly and was so organized." One of our full-service agents will come to your home and provide you with a market analysis so you can have the knowledge you need to sell your home. This is just a friendly meeting, there is no obligation to work with us! Our goal is to provide sellers in the DC metro area with the knowledge and information they need to sell their home for the best value in their current market. 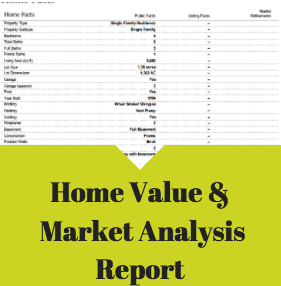 Want to schedule a home value visit? Fill out the form and we'll get in touch with you shortly!